LAGOS (VANGUARD)--In its quest to brace up with current trends in global affairs, the University of Lagos, UNILAG has unveiled the Institute of Nigeria-China Development Studies. According to him, there is a need for both Nigeria and Chinese civilizations to interact with a view towards identifying the strengths and weaknesses of each, so as to provide a platform for mutual growth. Some of the objectives for establishing the Institute of Nigeria-China Development Studies, he pointed out include: ‘’ To become a resource centre for Chinese investors in Nigeria as well as for Nigerian businesses and individuals who wish to collaborate, cooperate or work with each other. To create conducive environments for constant exchanges in order to strengthen and re-strengthen mutual cooperation between Nigeria and China at all levels. Others are, ‘’To become the hub of research and developmental activities in Nigeria-China Studies and to become a think-tank for Nigerian and Chinese government.’’ Ogundipe lauded the Chinese Investors Association for Development and Promotion and the Coniucius Institute at the University of Lagos for the successful opening of the institute. 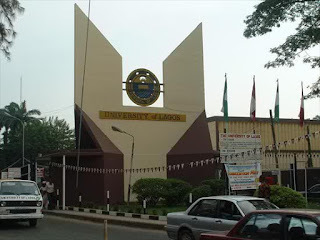 ‘’ I am sure it has become a landmark in our academic and pseudo academic experience in the University of Lagos,’’ he said.